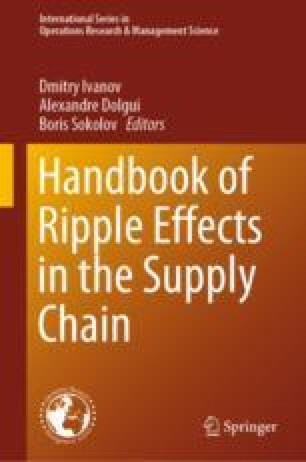 Modern supply chains have become increasingly complex and interconnected, raising concerns as to the potential loss of system-wide resilience. One distinct element of supply chain risk is the potential for detrimental material to propagate through the supply chain undetected, eventually exposing unsuspecting consumers to defective products. In this chapter, based on methods inspired by epidemiology, we propose new measures for quantifying this risk. We then apply these measures to real-life supply networks from eight industries to compare their relative levels of risk across a 17-year time horizon. Our results indicate that while in aggregate supply chain risk has increased overtime, both the level and sources of risk differ markedly by industry.